Womeninb2b would like to welcome Alexis Miller, an Independent Business Owner of Forever Living Products – The Aloe Vera Company. Alexis will contribute with articles on which she is passionate about – health, nutrition and lifestyle. The beauty of Alexis’ job is that she is her own boss and she loves what she does. What is your name, position, country, age? 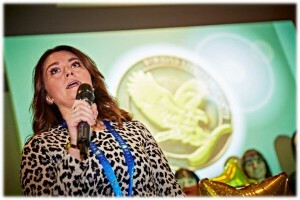 Alexis Miller, Business Owner at Forever Living Products UK. I live in Glasgow, Scotland and I am 32 years old. Previous to Forever, I was a TV and Film Make-up Artist for 14 years. I studied at college for 4 years straight after my higher exams in High School.